Oren Kraus, who receives his PhD on Tuesday, has launched a startup that develops computer vision tools for a faster and more accurate analysis of microscopy data. Called Phenomic AI, the startup develops computer vision tools for a faster and more accurate analysis of microscopy data. Its name comes from the word “phenotype,” which biologists use to describe how a cell – and its inner parts – look. The tools developed will help researchers spot subtle differences between cells that could be early signs of disease and identify promising drugs. “We’re able to apply deep learning to microscopy datasets,” says Kraus, who will receive his PhD on Tuesday. His graduate research was co-supervised by University Professor Brenda Andrews, the director of the Donnelly Centre for Cellular and Biomolecular Research and a pioneer in large-scale cell microscopy research, and Professor Brendan Frey, of the department of electrical and computer engineering. Frey is also a founder of Deep Genomics, a startup using AI for interpretation of genome data. Launched in 2017, the company already has several partnerships with academia and industry. Working with Ran Kafri, a scientist at the Hospital for Sick Children and assistant professor in the department of molecular genetics, Kraus and the team are developing an algorithm that can recognize slight changes in cells as they become cancerous. They are also helping a major microscope manufacturer improve its widely used data analysis software. In deep learning, a form of artificial intelligence, computers learn to recognize patterns from reams of data – millions of images in the case of computer vision. Images of cells hold clues about what makes them healthy and how they change during disease. However, advances in automated microscopy preceded those in computer vision, which means that researchers are able to acquire the data much faster than they can make sense of it. As a result, in many labs across the world researchers still analyze their data by eye, which can take months. Phenomic AI seeks to bridge the gap between the time it takes to gather the data and draw insights from it. The company’s technology is based on a software called DeepLoc, which Kraus created during his PhD. Faster and more accurate than the human eye, the algorithm can quickly sort cells into distinct categories based on how protein molecules are distributed inside the cells. For his research, Kraus won a prize for the best doctoral thesis in the Donnelly Centre. 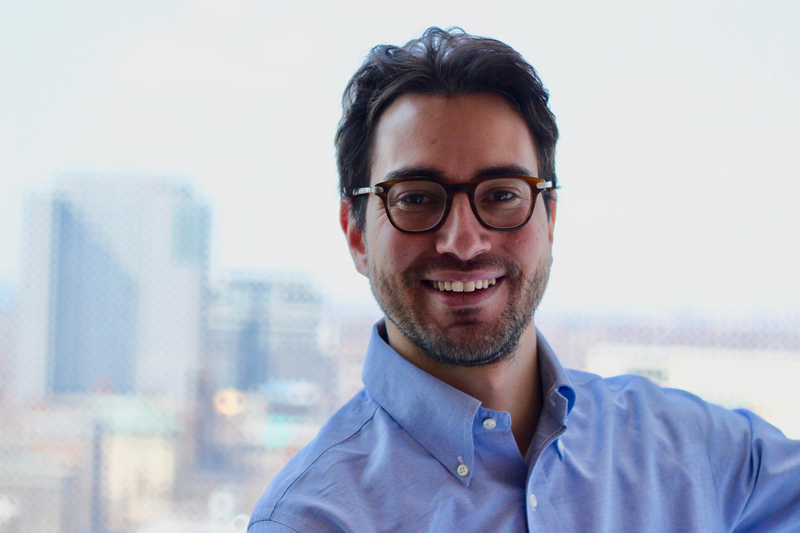 After launching Phenomic AI, Kraus secured seed funding of US$500,000 and entered the mentorship program at the Creative Destruction Lab (CDL) at U of T’s Rotman School of Management. Sam Cooper, another co-founder, joined Kraus in Toronto last October after completing a PhD at the Institute for Cancer Research in London, U.K. The pair had met in 2016 during a workshop at Harvard University that brought together the small community of researchers – about two dozen – who were working at the crossroads of computer vision and microscopy. Kraus and Cooper recently secured support from several AI and biotechnology investors to boost the total investments to US$1.5 million. Phenomic AI, which started with a couple of guys working in Kraus’ living room, now has nine employees, five of whom are recent U of T grads. In May, the company moved to JLABS, the biotechnology incubator founded by the pharmaceutical giant Johnson & Johnson, which provides research space and infrastructure to startups at the Toronto MaRS Discovery Tower.